Bridge construction has come a long way. Thanks to advancements in technology, lighter and more durable materials are now available to ensure that new bridges can accommodate greater loads. The construction process is also a lot faster because of the introduction of a multitude of different heavy construction equipment. 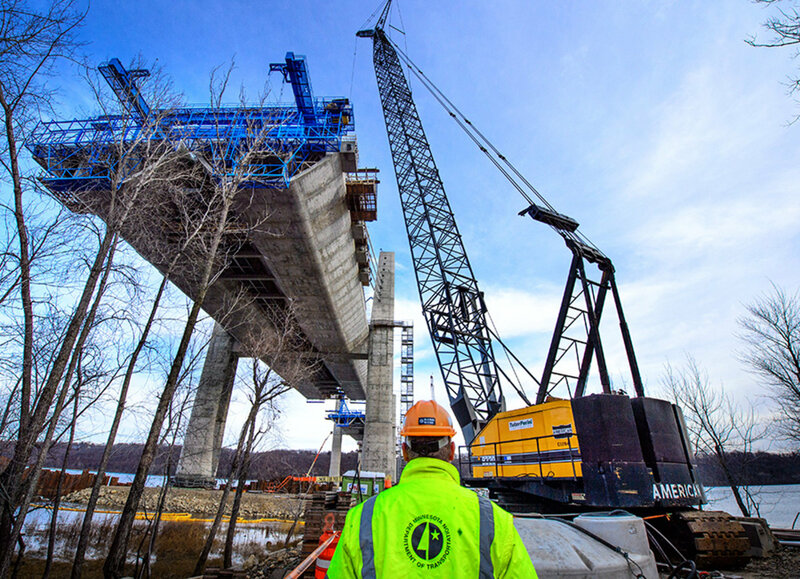 This article explains the many stages involved in the construction of a bridge. One of the most interesting things about bridge construction is that it requires the knowledge and skills of engineers from different disciplines including civil, electrical, geological, mechanical and computer sciences. As with all construction projects, building a bridge starts with thorough planning. The different characteristics of the bridge are determined such as the bridge site details, aesthetics, resources and equipment to be used. There are several types of bridges, with the most popular ones being the beam, arch and suspension bridges. There are cases in which bridges are categorised by the purpose it serves, like a road bridge or a pedestrian pavement. It can also be categorised as either fixed or movable. A different dynamic is involved in movable bridges, as they require different construction methodologies. This is because the bridge must be equipped with the capability of being piloted or lifted to allow marine traffic to move under it. It is essential to learn that vehicle loads aren’t the only type of load acting on a bridge. When constructing a bridge, engineers must factor in other forces such as winds and earthquakes. High-speed winds are responsible for the collapse of several bridges across the globe. Winds at tremendous speeds can cause the bridge to vibrate and create damages to its weak elements and even major components. Special reinforcements must be made to ensure that the bridge can withstand high-speed winds and strong earthquakes. The building of a bridge is a very expensive construction project. Minor mistakes can amount to thousands or even millions of dollars. For this reason, all necessary tests must be done before the actual construction of the bridge. A variety of investigations and tests can help identify bridge behavior when subjected to different dynamic loads. With the help of computer programs, engineers can access essential information regarding the effect of high-speed winds, earthquakes and other elemental forces acting on a bridge. Possible defects in design and structure can be identified with the help of new technology. Welcome to the united networks, we a committed to giving you intelligent information on construction trades within Australia and New Zealand. We want to encourage networking within different sectors of construction to better meet deadlines , budget and stakeholder objectives.